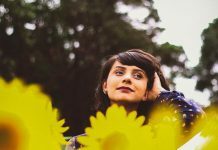 I recently wrote about how we can make sure that we achieve the goals we set. One of the important factors in this process, which helps us to stay focused on our goals, is tracking progress. Tracking progress is important if you want to ensure that you are on the right path. For example, let’s suppose that you’ve set a goal to lose 30 pounds in the next 3 months. You would subsequently create an action plan which involves regular exercising and a balanced diet. Now would you check your weight every week or only after the 3 month period? No, of course not! You’d check your weight each week to be sure your process is working. Why wait 3 months to figure out that your plan is flawed? Another advantage of tracking is that generates a feeling of self-satisfaction, or quick gratification. This is important because that further motivates you to work harder to reach your targets. Jerry Seinfeld’s method of tracking is a great example of this: Don’t break the chain! When you have a lot of goals, tracking progress might become difficult. Here are some cool tools which aim to make this job easier for you. 43 Things is a popular tool to list your goals, track them and also share them with your friends. It is also a social network of people having different lists and goals. You can connect with them and talk to them. In fact it can automatically connect you with people having same goals. 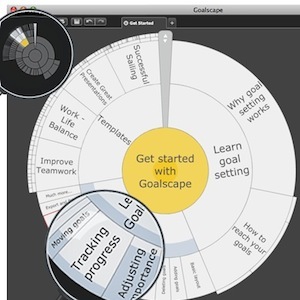 Get Goaling is another nice free tool which provides a comprehensive dashboard to help you set goals, prepare action plans, track progress and share your experience. You can track the goals by due date and percentage completed. As the name suggests, Stickk is a web app which helps you stick to your goals and commitments. And its approach is quite innovative. It asks you to set stakes and make a commitment contract. What’s at stake ? Your hard earned money ! I think this tool could be quite effective for those who are born procrastinators and just can’t meet their targets. You don’t keep your commitment and you lose money. You reach your goal and you don’t pay a penny. Simple. There are other nice features too like an option to choose a referee who can be any person monitoring you at regular intervals. So apart from the psychological pressure of losing money, there’s also a real person to nudge you if you become lazy and procrastinate. Track-n-graph is a free service to track just about anything and that includes your goals too. It shows you the data in nice and detailed graphs which can be shared with the world. Also, it provides a tracker catalog which has some pre-defined tracking templates to save you time. I knew Google Calendar could be used as a to-do list but didn’t know that it could be used as a comprehensive goal management app until I came across this great article. So you can use your Google Calendar to track your progress too. To-do lists usually are used for everyday tasks and short term goals. But I think they can be used to remind you and nudge you to achieve your long term goals as well. They may not be able to track your progress but they are good way to remind yourself that there’s a task left. Some notable to-do list apps are Remember the Milk, Todoist and Ta-da List. The significance of pen and paper cannot be undermined even in this highly wired world. Both these tools are still one of the best ways to write down and track just about anything. So when you can’t decide how you should track your progress, just write down the goals and the action plan to achieve them. Then begin each day by writing down what you need to do and end the day by documenting what you were able to do.